It’s funny how excited kids these days get about cooking and baking. I don’t remember ever having the inclination to go “make” something, other than dumping a bunch of crap in a bowl and microwaving it for 30 minutes. We were bad. Both of the kids I babysit are really into all things culinary. The 7-year old is a HUGE Paula Deen fan, and the 6-year old has been begging to break out the video camera and “film a cooking show”. 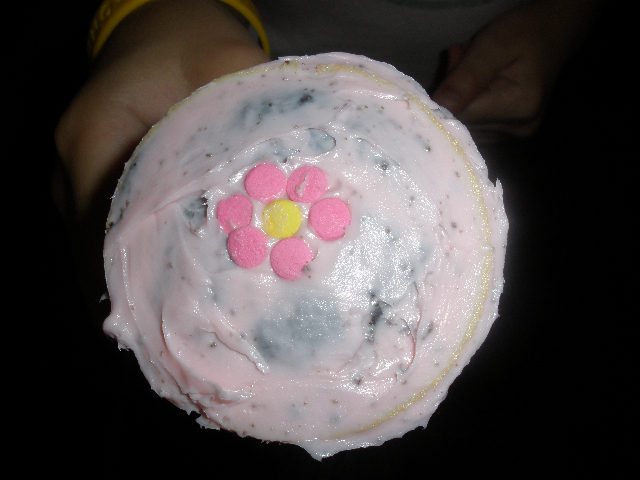 So yesterday we decided to make cupcakes. 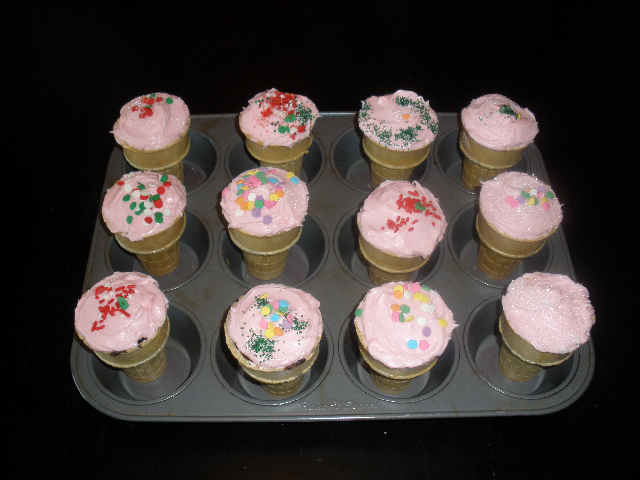 Browsing through one of my dozen cupcake cookbooks, I came across Cupcake Cones. 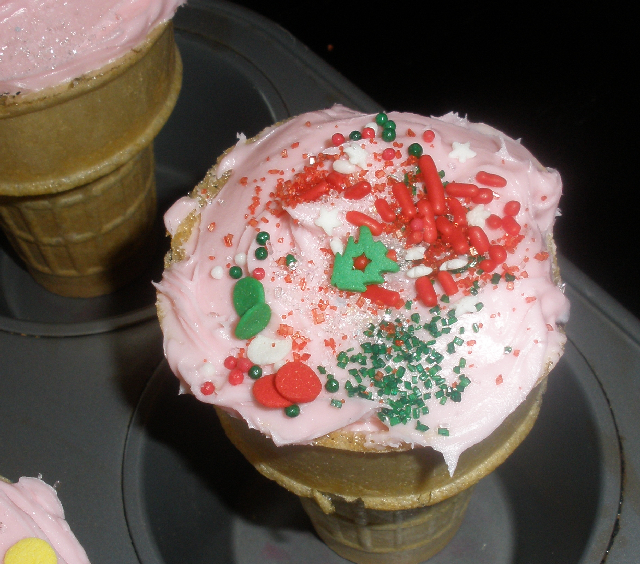 We just prepared a plain old store-bought chocolate cake mix, stood ice cream cones up in muffin tins, filled the cones halfway with the batter, baked for about 15 minutes at 350, and then iced/decorated. The result? If you make these, be warned. Although adorable, they don’t taste that great. The cone kind of stales in the oven so it ends up chewy instead of crispy. I mean, I still ate them- just FYI. Heat olive oil in skillet over med-hi. Add onions and garlic. Saute until onions have softened slightly (about 3 minutes). 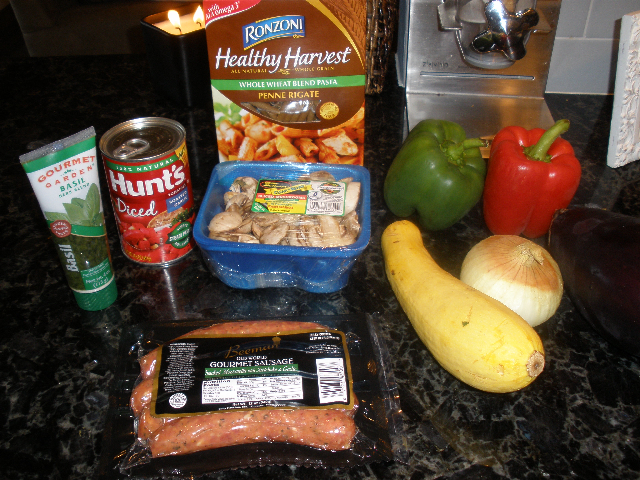 Add peppers, eggplant, and mushrooms. Cook, stirring often for 2 minutes. Add balsamic vinegar. 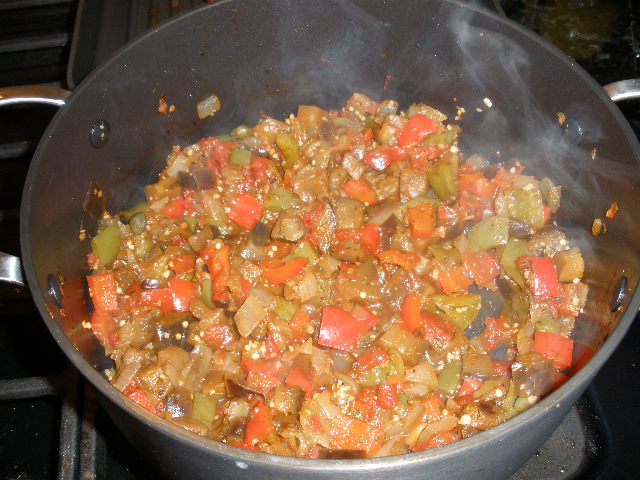 Continue to cook, stirring often, until veggies have softened. I think I cooked this about 5-7 minutes and then added the canned tomatoes, basil, oregano, capers, salt and pepper. Reduce heat to low and simmer for 10 minutes or so. 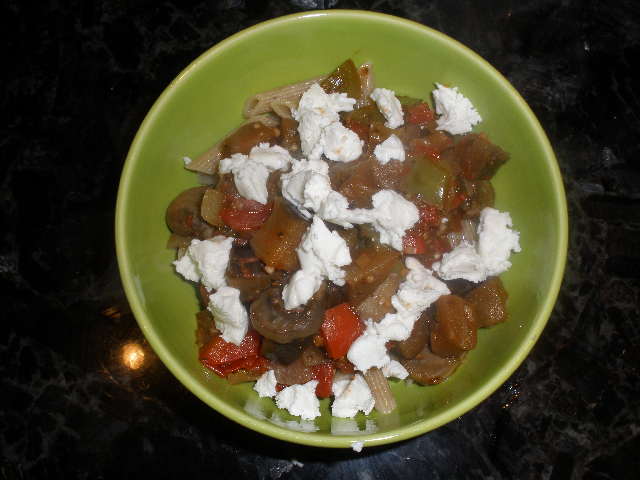 Serve over whole wheat pasta or couscous and top with crumbled goat cheese. This entry was posted in July 2008 and tagged baking, Cooking, Cupcakes, Recipes, Vegetarian. Bookmark the permalink. Good morning Heather, just read your comment. The movie did not stink it was just really cheesy. I think it was good for my 3 year old but a 6 & 7 year old might not find it as amusing. I love your Ice cream cone cupcakes – very cute. 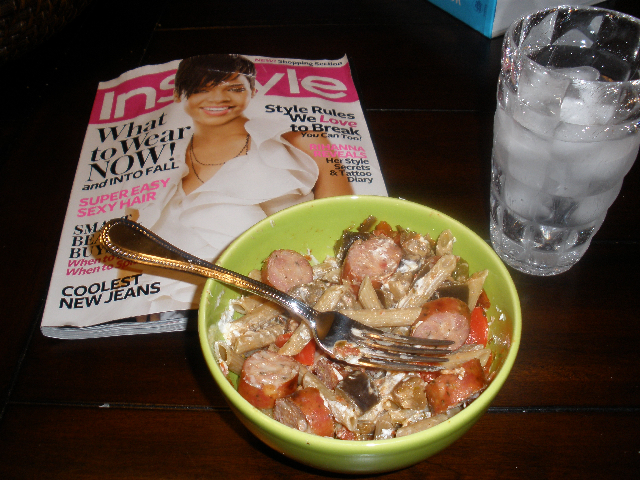 D likes to watch Giada but not because he wants to cook – I think he is a little sweet on her (he has good taste at 3). Enjoy your day! My aunt used to make cupcakes in cones like that all the time when I was little. I have to give it a try – so retro. Also, love your tag line.